In these lecture notes we explain how multi-user web applications can be developed in a programming style that favors tasks as main building block for the construction of such systems. A task is work that has to be performed by human-beings and computers working together on the internet. This concept has been implemented in the iTask framework as a monadic combinator library that is embedded in the pure and lazy functional programming language Clean. 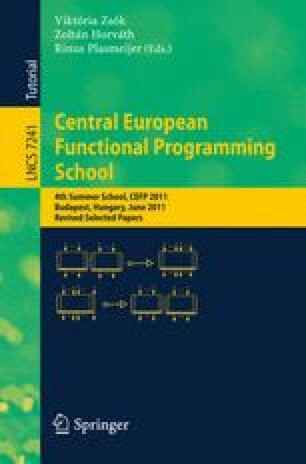 These lecture notes consist of many examples and exercises, and also discusses the foundation of both the iTask system and task-oriented programming.